THEY improv provides improv comedy, game shows and murder mystery dinners for entertainment options for a variety of groups and gatherings in Mississippi. If you have a group looking for quality Biloxi corporate event, banquet and private party entertainment that can go to any venue, even right into your home, look no further than THEY improv! 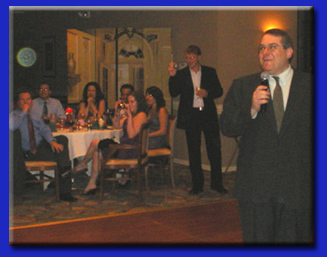 Whether you'd enjoy an improv comedy, interactive game show or murder mystery dinner, THEY improv can provide you with a Biloxi private party, banquet, client meeting, corporate event or murder mystery dinner that will help you succeed beyond your expectations! THEY improv leads the way for Mississippi murder mystery dinner shows. 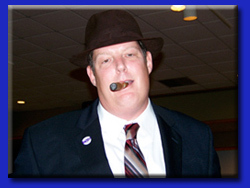 Our Biloxi private parties and corporate events have a cast of detectives, quirky suspects and plots customized to each group at a venue of your choosing for a luncheon or dinner show, THEY improv will have your group trying to discover whodunit while laughing the night away. For mid-sized groups, we have a team building version called the Cambridge Solution using the bosses as characters and teams working together to solve the crime. And for smaller groups, THEY improv has a game show version where the participants play all the characters in a mix and mingle party designed to get people to talk to each other and have a great time in a no-pressure environment. The town is known for its casinos and corporate event facilities. Located on the Gulf Coast, there is a strong effort at promoting the area as an advantageous location for private shows. Whether it be for high-rollers at one of the quality casinos, or for a company having a retreat, THEY improv has appropriate structures for your needs. 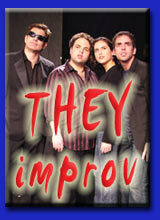 From Corporate and family friendly to blue, THEY improv can provide the show that your group is looking for. Just let us know what you are looking for and we will work to provide it. Click here for information about Casino Entertainment. 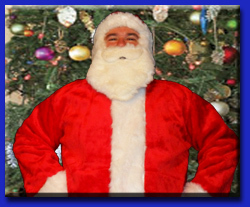 Biloxi private parties for families or corporate events are improved through all of these programs. And for a city with as interesting and diverse of people as live here, THEY improv is ready to provide activities that will work for everyone providing entertainment, wellness, bonding and training. After all, being improvisers, THEY can adjust to practically anything. And for the casinos and tourist destinations, our hospitality industry training can do wonders to improve your customer relations. Proud to also serve the rest of Mississippi including Jackson, Hattiesburg, Vicksburg, Natchez, Gulfport, Tupelo and the rest of the state. In addition, THEY serve the entire area of the Gulf Coast including Lafayette, Baton Rouge, New Orleans, the French Quarter, Metairie, Shreveport and Mobile Alabama.